Download the Bulletin for Meeting 1072 here. Many of us can recall enthusiastic high school student Alexis Gerassimou’s presentation to the club when she was a NYSF attendee. Alexis (on the right) is seen here with fellow NYSF attendee Kristina in March 2011. Yes, Alexis is now 8 years older, but her beautiful smile has not changed. 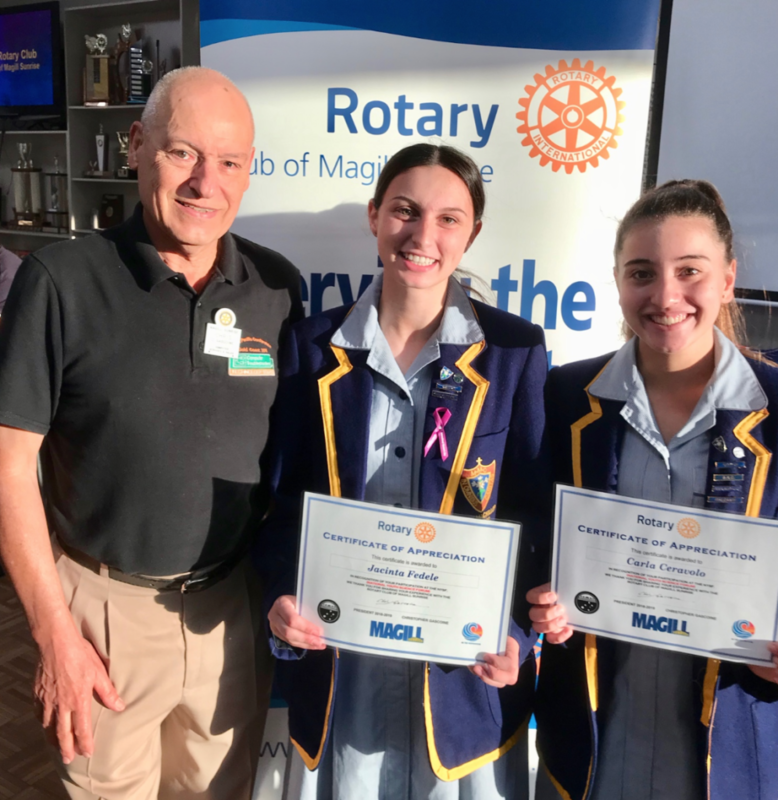 Our Club sponsored Carla and Jacinta at this year’s NYSF (National Youth Science Forum 2019) held in the ACT. Their presentation was polished and interesting, with a seamless tag-team summary of their time in Canberra. Like so many in the past, they obviously enjoyed the whole experience and are further motivated to continue their studies in the fields of biochemistry and engineering. 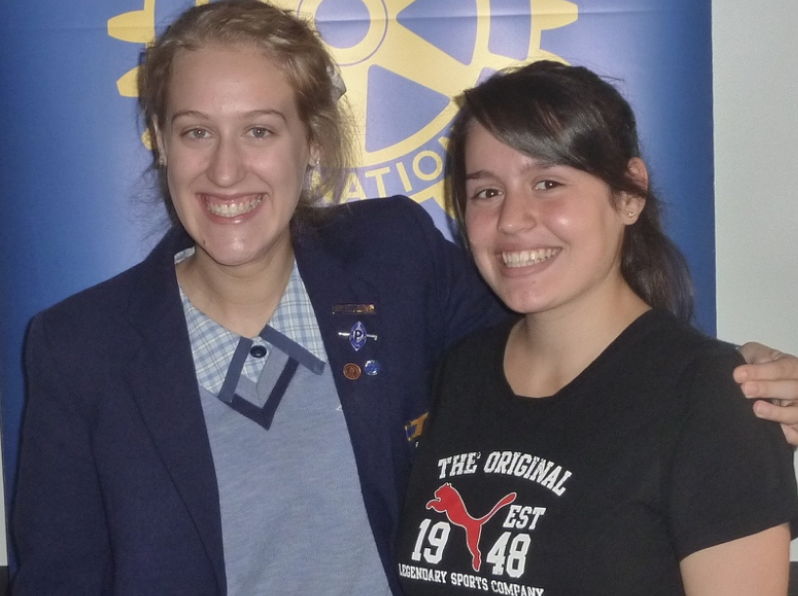 Well done Carla and Jacinta. Despite Stallholder numbers being down, we cleared just under $500 in profit for the club’s projects. Greg put his name forward for the role of President Elect for 2019-2020 at Tuesday evening’s board meeting, which will make him the next President of Magill Sunrise. More details soon. Wed 06 Mar: Julie Carman, Susan & I attended RC Norwood meeting where we heard a talk by Assoc.Prof. Ville-Petteri Makinen of SAMHRI on “the current status of research into Alzheimer’s”. Tue 12 Mar: Mark Thompson, Susan & I attended our joint meeting with RC St Peters and heard an interesting and amusing talk by media personality Graeme Goodings on his career trajectory as a news reader. Tue 19 Mar: will be our Board Meeting at Café Va Bene. Tue 19 Mar: will also be RC St Peters farewell dinner for the outbound Group Study Exchange Team going to Kansas City, Missouri USA. 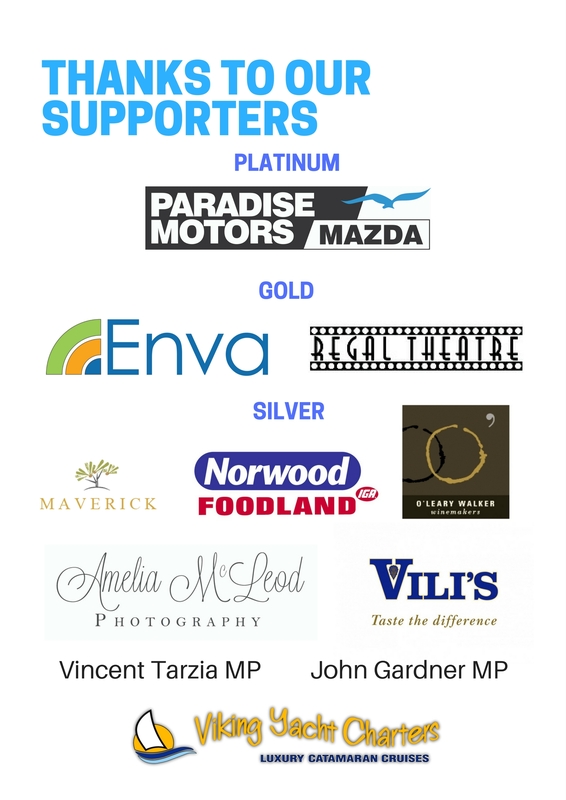 Fri 22 Mar: Graham Holcroft and I will be helping RC Norwood with the BBQ at Bunnings Mile End.